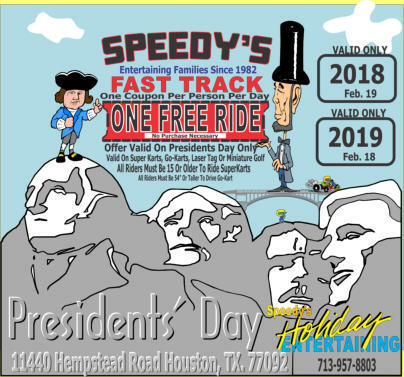 This coupon is valid on Presidents Day ONLY (see coupon for exact dates). It is one free ride. No purchase necessary. This coupon is valid on Presidents Day ONLY. See coupon for exact dates.